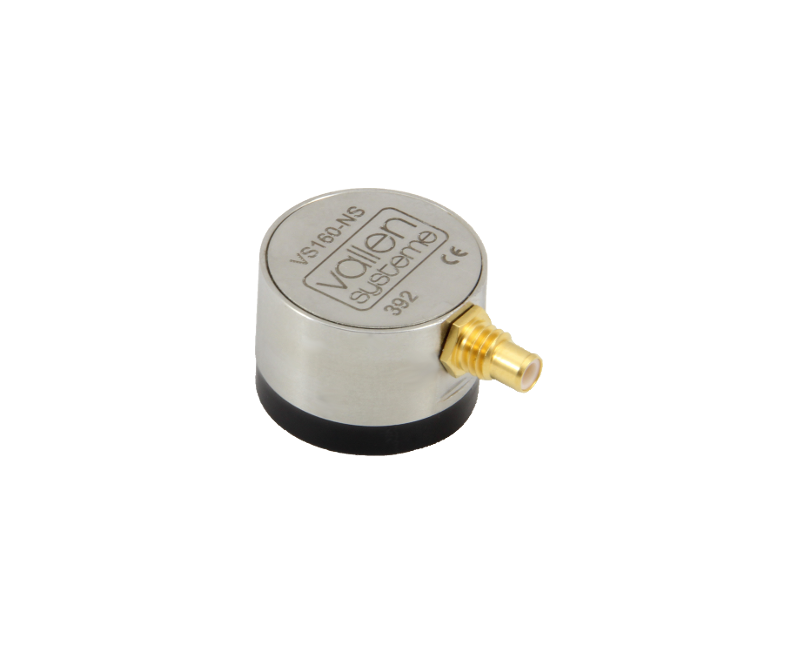 The VS160-NS is a passive piezoelectric AE-sensor suitable for extremely cold (down to -50°C) and hot environments (up to 180°C). Its frequency response is characterized by a peak at 160 kHz where it exhibits a resonance. It is suitable for almost all AE application and especially suited for integrity inspection of metallic pressure vessels.